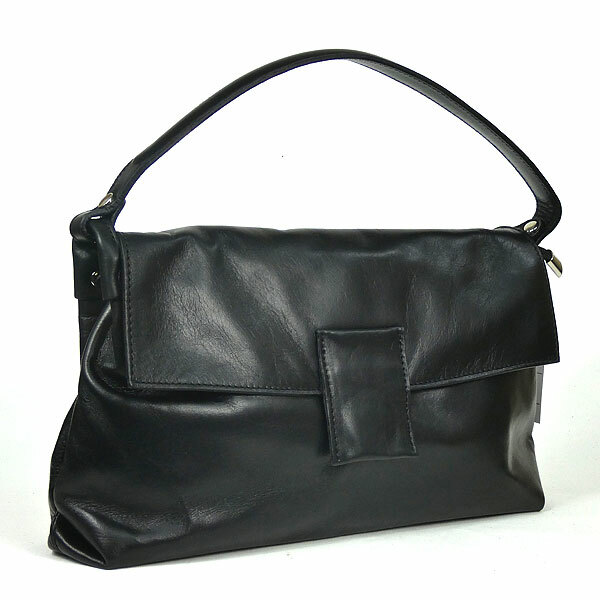 An attractive Italian leather handbag with a separate leather strap to convert it into a shoulder bag. The bag has a magnetic clip on the flap under which is a zip closure. There is also a black lined zip pocket at the back of the bag. 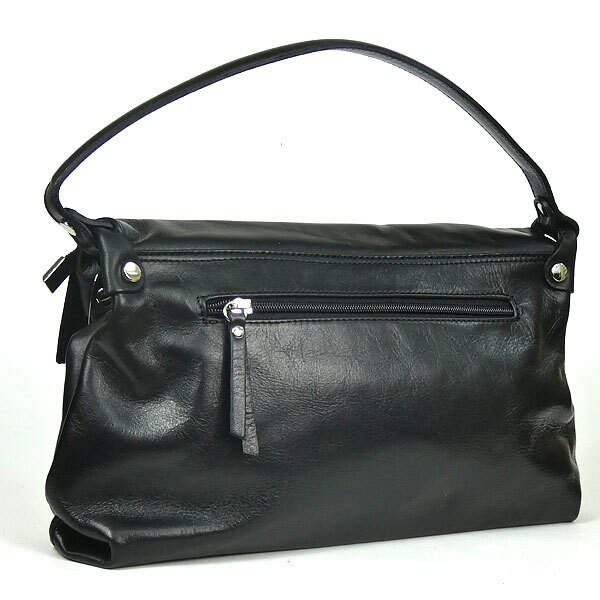 Inside the bag there is complementary black lining, an internal zip pocket and a small leather flap pocket. Size of handbag: approx. 34.5 at its widest, 18.5 in depth and a base of 7cms. There is also the same style of bag in the KIENA Online Collection in red.